South Pole-Aitken (SPA) basin, the biggest and most ancient lunar basin. Arrow identifies the location of interesting wrinkled ridges within Aitken crater. Image width is 250 km. Credit: NASA/GSFC/Arizona State University. The LPI-JSC Center for Lunar Science and Exploration, in support of the NLSI South Pole-Aitken Basin Focus Group, has developed a new web-based ArcGIS tool for evaluating landing sites within the South Pole-Aitken (SPA) basin. This focus on the SPA basin is prompted by several reports. The National Research Council’s 2007 report, The Scientific Context for Exploration of the Moon, concluded the second highest priority is to determine the age of the SPA basin via sample return. In the National Research Council’s 2012 report Vision and Voyages for Planetary Science in the Decade 2013-2022, a sample return mission was also a high-priority option for a New Frontier-class mission. Several formal and informal recommendations by others in the community have also pointed to the SPA basin as a high-priority science and exploration target. This novel web-based ArcGIS system provides co-registered base maps (e.g., topography and FeO abundances) and a series of feature layers (e.g., for volcanic rilles and ≥20 km-diameter impact craters). Using the ArcGIS tool, users can zoom into lunar surface sites of potential interest. This novel tool is accessible from browsers. You do not need ArcGIS or a license to use ArcGIS on your computer – the system uses a new type of platform that will make it easier for people in the community to access SPA-related data. The system is also integrated with information used in a previous lunar landing site assessment of the South Pole-Aitken Basin that was developed through the NLSI and the LPI-JSC Lunar Exploration Summer Intern Program. That study determined that most of the goals articulated by the NRC (2007) report could be addressed within the SPA basin and highlighted, in particular, the attractiveness of Schrödinger basin and Amundsen crater for future missions. As users will see, however, there are a huge number of other interesting locations within SPA. Data have been imported at the highest resolution available, although the data bandwidth for a real-time, on-line system currently limit the display of that data to 1000 m. This system is designed to evolve, however, so that it can provide the lunar community with an enhanced range of information and capabilities in the future. Additional base maps and feature layers are already in development for a second version that will be installed as soon as possible. 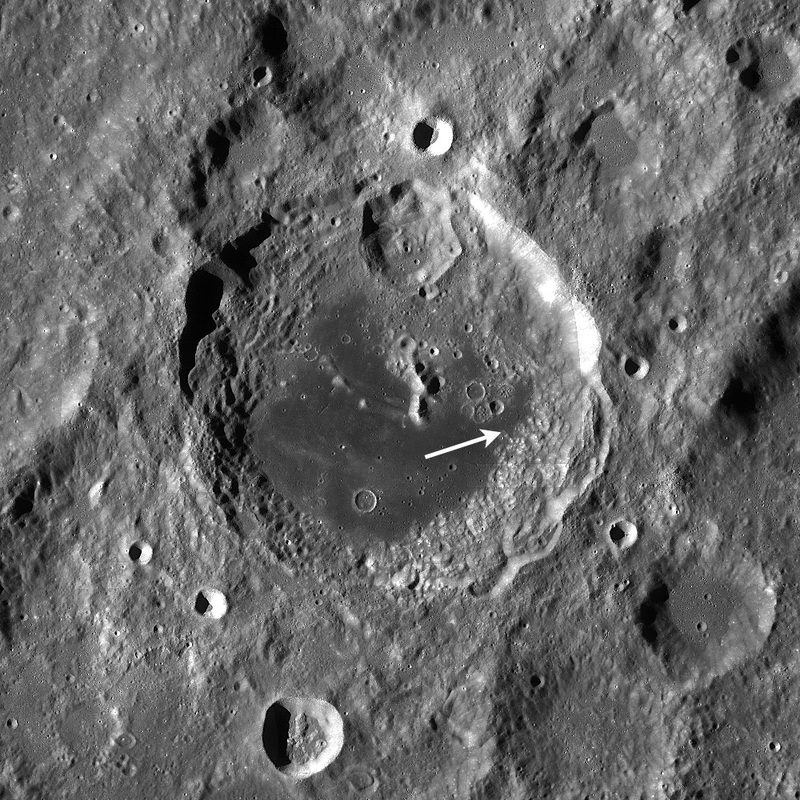 Scientists find evidence that a 50-meter-deep pit on the Moon’s surface could be a skylight opening to an intact lava tube tens of kilometers long.